It's Wednesday once again and you know what that means. Time for Writer's Words of Wisdom. Each week a few authors will post some tips, insights, or share their experiences with writing, editing, publishing and promoting. You may have already experienced these things yourself, or find something new. Either way, we would love to get your comments on our posts and perhaps you will join us each week posting some of your own experiences. It's authors helping authors at its finest. 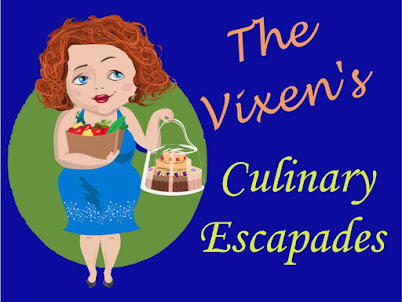 This week I thought I would share my experiences making video trailers for my books. I had absolutely no idea what I was doing when I first looked into the idea. I asked a lot of questions of one author in particular, Rose Anderson. I loved the video she did for her book Dreamscape. First question I had was "who did the video for you?" I was surprised to find out she did it herself and she said it wasn't hard. Now, if you're like me, you are not all that tech savvy and when someone says it's not hard, for me it would be a disaster. First of all, I looked for a program that would be rather user friendly and let me set up my own movie/video using the images I had in mind. I didn't need to look far. I already had one on my computer. Windows Movie Maker. There is currently a newer version Windows Live Movie Maker which you can download for free if you use Vista or Windows 7. What I like about this program is that it will automatically format the end product to be able to upload it to YouTube, Facebook or for emails. There was no need to get another program to convert the file. Movie Maker did it all for me with just a click of a button. Once you have the program installed and ready to use, it's time to put together the images and music to bring your creation to life. You can't just use any image or music you wish. There are some issues with copyright that will most likely come up so it's best to use royalty free images and music. There are many sites out there to help you with both of these. Some sites will allow you to use their images and music FOR FREE if you give them credit for it (attribution) and in some way link back to their site. Others will allow you to use the materials without giving any credit to the artists/creators as long as you PAY a FEE. With my shoestring budget I used FreeDigitalPhotos.net and Photobucket for my images. I made sure with each one I was able to use the images in my video and followed the directions on the site to give the proper attribution. For music, I really wanted to use the tunes I listened to while writing, but I didn't want to get into some fight with a record company so I found a site with great instrumentals. Incompetech is the brainchild of Kevin MacLeod. Not only does he have many pieces you can download for free, he will also do original scores for projects. His website has all the specifics and even shows you how to give the proper attribution for YouTube. Mr. MacLeod takes all the guesswork out of it. All you have to do is insert the title of the piece you are using. A no brainer...I loved it! Here's the video trailer I did for my poetry book Follow Me: Poetry from the Heart and Soul. The music is from the Incompetech site and the images I purchased in a package. Art Explosion contained over 500,000 images I could use for any project. The scenic images were perfect for this trailer. Shutterstock, iStockphoto, and Fotolia just to name a few. For fairly reasonable rates, you can purchase packages that include a number of images to use as you see fit. This is how many of us found the images for our self published book covers. For music you can also purchase royalty free compositions on iTunes. Some video trailers also use popular music by well known artists. YouTube automatically lists the title of the song and where to purchase it when the video is uploaded. (I asked a few of my friends how they put the information below their videos and they told me it was YouTube). I'm still a bit leery using my favorite Pink song for one of my trailers. One day I may cross that bridge, but until then, I'll stick to the royalty free stuff! Are you ready to make your own video trailer? Go on. Give it a try. What have you got to lose? Here are a few others who are participating this week. Please take a moment to check out their posts and leave a comment or two. #WWoW Don't Quit Your Day Job!!! 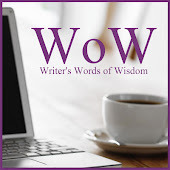 #WWoW Social Plugins To Make Your Blog Pop!